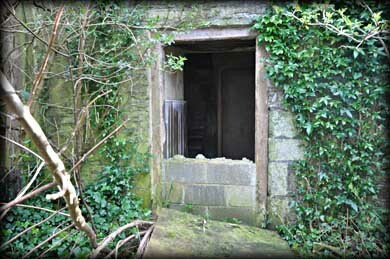 The monastic foundation at Killashee was founded in the 5th century by St Auxilius, from whom the the name Killashee is derived, Kill auxilius-Church of Auxilius. The three storey tower, built from uncoarsed granite blocks, is presently attached to an 18th century church. AKA Kilussy church it is believed to have been built on the site of an earlier medieval church. Leask (1960, Vol 3, 182) noted the scar of the A-roof line of the medieval church on the E wall of the tower. 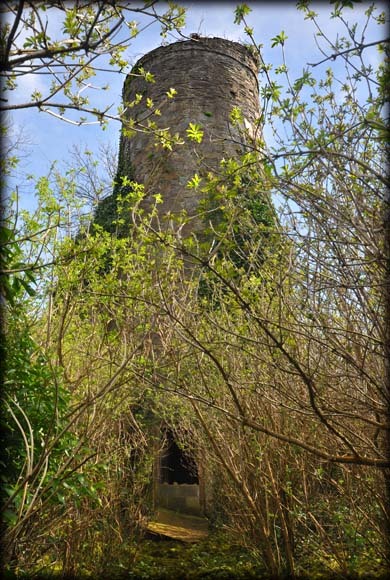 It is intriguing to know when the tower was built. 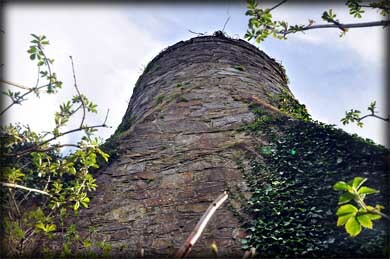 It is similar to the 12th century attached towers at Ferns and Dungiven. A later date has been suggested. Situated: From Naas head southwest on the R448 for 2.5 kilometres. Killashee House Hotel is on your left. The church is situated in the gardens at the rear of the hotel. Discovery Map 55: N 8875 1621. Last visit Feb 2014.